And now we’re back with Vera and Brody, and their lack of truck problems. 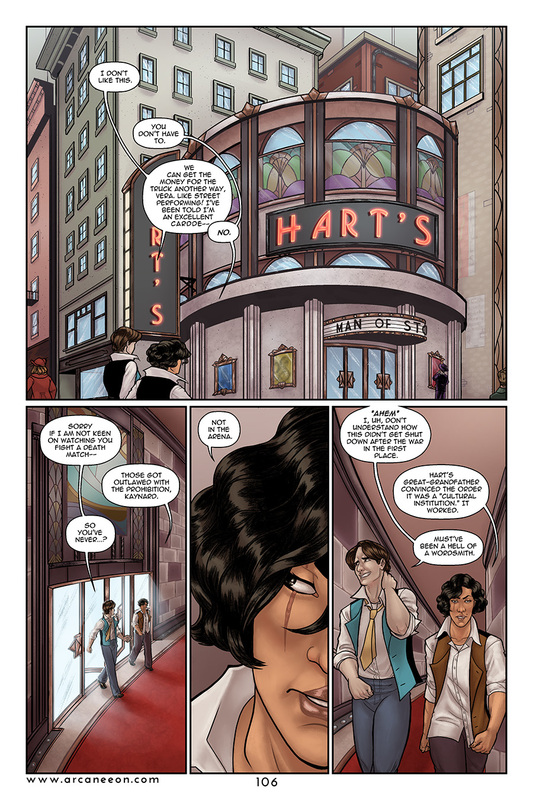 This page in particular was a lot of trouble for me, considering the look for Hart’s Arena. Pro tip: circular buildings are hard to draw. Haha. Anyway, for Patrons, we’ve got full inks for next week’s page, plus sneak peeks for all patrons. And I’ve still got all sorts of stuff over at the Storenvy.